The SEC report revealed a $200,000 salary increase for Transocean President and CEO Steven L. Newman. (CNN) -- The owner of the Gulf of Mexico oil rig that exploded last year, killing 11 workers and leading to what has been called the worst oil spill ever, said Monday that calling 2010 its "best year" in safety "may have been insensitive." Transocean Ltd., in a recent filing with the U.S. Securities and Exchange Commission, said hefty bonuses and raises to top executives were based in part on the company's "performance under safety" last year. "We acknowledge that some of the wording in our 2010 proxy statement may have been insensitive in light of the incident that claimed the lives of eleven exceptional men last year and we deeply regret any pain that it may have caused," Transocean said in a statement to CNN. "Nothing in the proxy was intended to minimize this tragedy or diminish the impact it has had on those who lost loved ones. Everyone at Transocean continues to mourn the loss of these friends and colleagues." 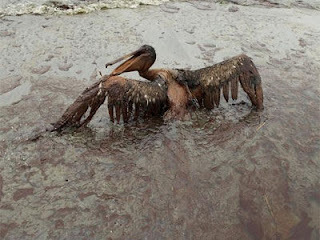 The statement did not address the controversy over the decision to give out cash awards despite the oil spill disaster. That includes a $200,000 salary increase for Transocean President and Chief Executive Officer Steven L. Newman, whose base salary will increase from $900,000 to $1.1 million, the SEC report said. Newman's bonus was $374,062, according to the report, which Transocean filed Friday. Newman also has a $5.4 million long-term compensation package the company awarded him upon his appointment as CEO in March 2010, according to the SEC filing. "Notwithstanding the tragic loss of life in the Gulf of Mexico, we achieved an exemplary statistical safety record as measured by our total recordable incident rate and total potential severity rate," the SEC statement reads. "As measured by these standards, we recorded the best year in safety performance in our company's history." The company called that record "a reflection on our commitment to achieving an incident-free environment, all the time, everywhere," the SEC filing said. The April 20, 2010, explosion on the Deepwater Horizon rig injured 17 workers and killed 11 others, including nine Transocean employees, according to the SEC filing. It has been called the worst spill in U.S. history. The well was capped three months later, but not before millions of barrels of oil spilled into the Gulf. In January, President Barack Obama's National Commission on the BP Deepwater Horizon Oil Spill and Offshore Drilling released a report that spread blame for the accident among Transocean, BP -- which leased the rig -- and Halliburton, which installed the rig's cement casing. The commission said problems with deepwater drilling are "systemic" and that only "significant reform" will prevent another disaster. Another report released March 23 determined that the oil spill was caused by a piece of drill pipe trapped in the rig platform's blowout preventer, a device intended to stop oil from flowing into the Gulf. The report was commissioned by various U.S. agencies, including the Interior Department and the Department of Homeland Security. The Interior Department has said a much broader report that relies on additional sources of data, including eyewitness accounts and photos, will be released this summer. The oil spill has prompted a flood of lawsuits against BP, Transocean and Halliburton from a variety of plaintiffs, including owners of Gulf businesses who say they suffered heavy financial losses because of the spill. The plaintiffs also include Transocean shareholders who contend the company falsely claimed it had remedied past safety problems with its blowout preventers before the Gulf spill.